Canyoning and sea kayaking will be open from July 14th until September 9th! Niseko is dynamic. The stark changes of seasons and the natural beauty that comes along with those changes are what makes Niseko so special. In July, Hokkaido blossoms into a summer outdoor activity paradise. 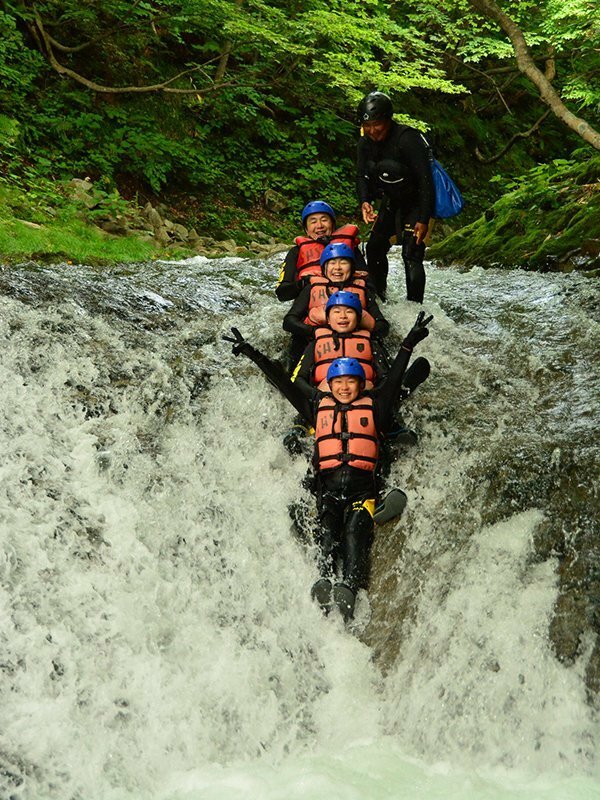 The rivers, lakes, and even ocean temperatures rise to a comfortable level, and Hanazono takes advantage of these warm and sunny conditions to explore Hokkaido with canyoning and sea kayaking. 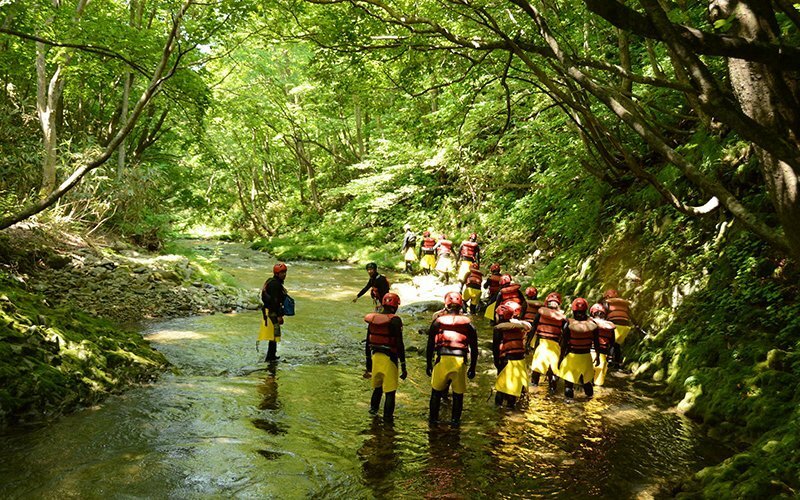 Canyoning is Hanazono’s most thrilling summer activity. Guests will put on a wetsuit, river boots, life vest, and a helmet to navigate and explore lush green canyons. These canyons are a beautiful sight to behold and are also an exciting and fun challenge to move through! The first section features a slower river, where you can relax and get used to moving through the water. This is a great time to appreciate the bright green scenery surrounding you. From there the network of canyons becomes more exciting, and the river water moves faster and holds fun features to pass through. Moving through the canyon will have you sliding down natural rock water slides, floating, swimming through sections, and even jumping off cliffs into pools! 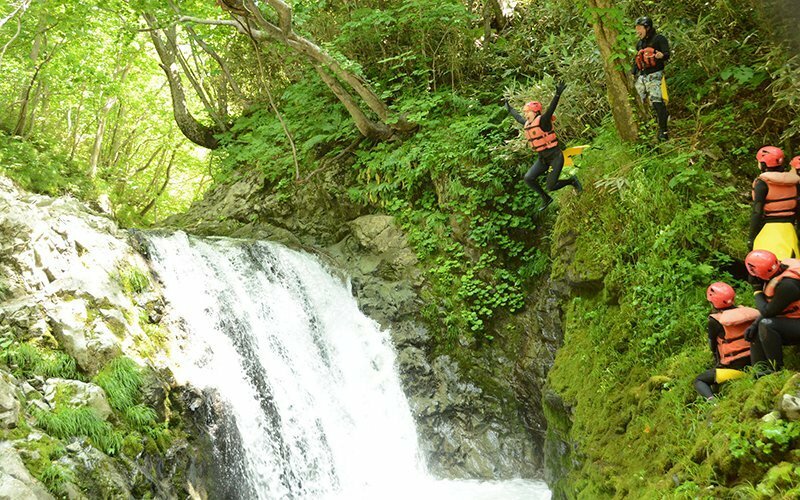 Hanazono’s canyoning tour finishes off with a 6-meter jump into a deep blue pool and enjoying the stunning Lion Falls. If you have never experienced canyoning (or canyoneering as it is called in North America) we encourage you to do so! 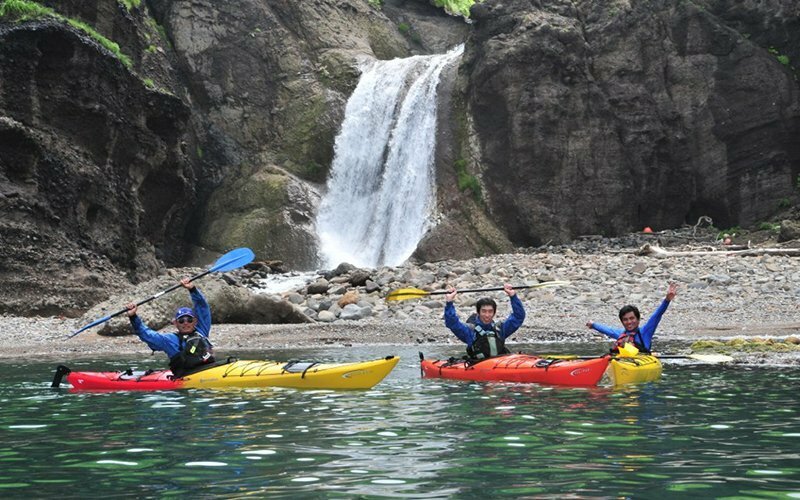 This fun activity is gaining popularity all over the world, and it is a safe yet physically challenging way to literally immerse yourself in Hokkaido’s natural beauty. 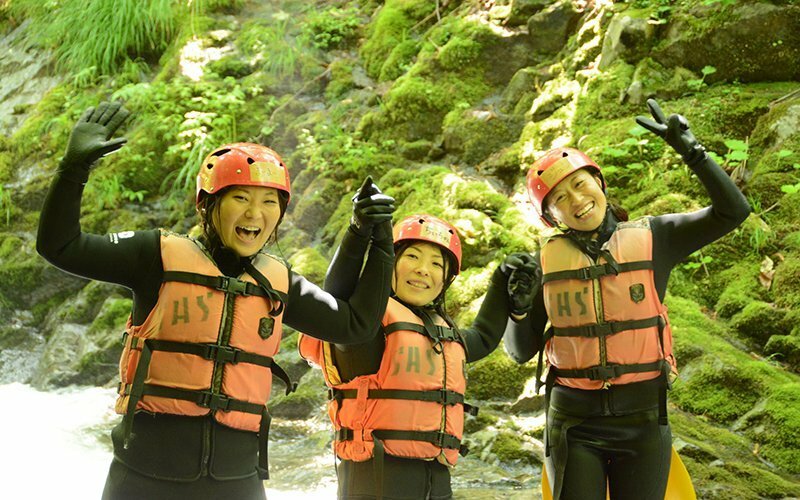 Hanazono’s canyoning tours last for 3.5 hours and have 2 starting times: AM(8:30 AM) and PM(1:00 PM). All tours start at the Hanazono 308 building, where we have storage lockers, changing rooms, and showers to rinse off after your canyoning exploration is finished! 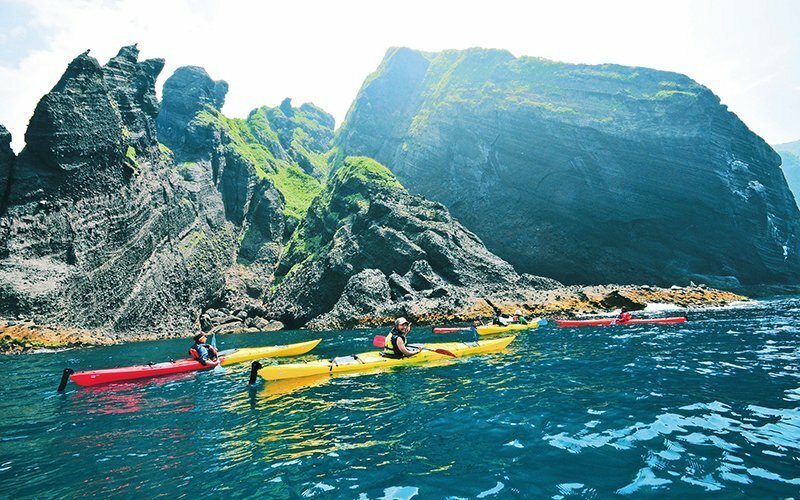 Hanazono’s sea kayaking tours take place on one of the most beautiful locations in Hokkaido: The Shakotan coast. This gorgeous coastline is a protected area and is part of the Japan National Park system as a Quasi National Park. The area is commonly referred to as the “Shakotan Blue” because the clear water shows off a deep blue color in summer. That, combined with the steep, lush, and rocky cliffs lining the coast produce some unique natural eye candy. The bright blue and green colors look similar to a tropical island, not something you would expect from Hokkaido, one of the snowiest places on the planet in winter! 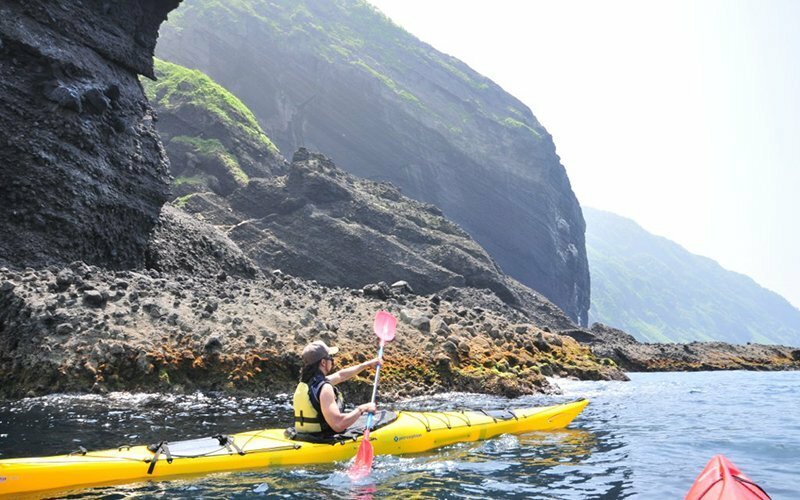 The best way to experience the astonishing beauty of Shakotan is from the water on a sea kayak! 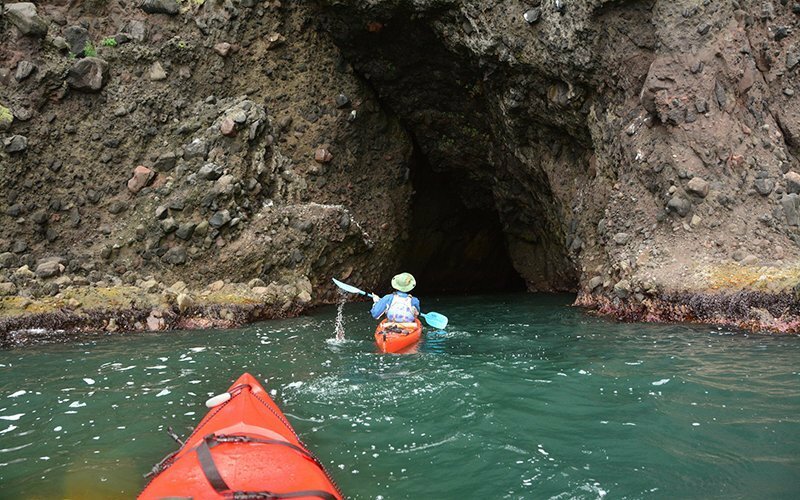 Hanazono’s sea kayak tours use specialized kayaks with a covered deck and a shape designed to be stable and drive through waves. Paddling is easy, as the kayaks glide through the water without too much effort. Beginners or first-times are welcome, as the tour is not difficult and our guides are very knowledgeable. All flotation equipment, safety features, and correct techniques will be explained by our guides before setting out into the Sea of Japan. Effortlessly sliding through the pristine blue water and looking up at the stunning bright green cliffs of Shakotan is an amazing experience. The area is truly unique, and even first-timers can easily adapt and enjoy. Hanazono’s sea kayak tours last for about 3.5 hours and have 2 starting times: AM(9:00 AM) and PM(1:30 PM). All tours start at the Hanazono 308 building, where we have storage lockers, changing rooms, and showers to rinse off after your sea kayaking exploration is finished! Looking for more summer fun? Try these other activities available at Hanazono!